From the author of Brooklyn comes a short, powerful novel about one of the most famous mothers in history. 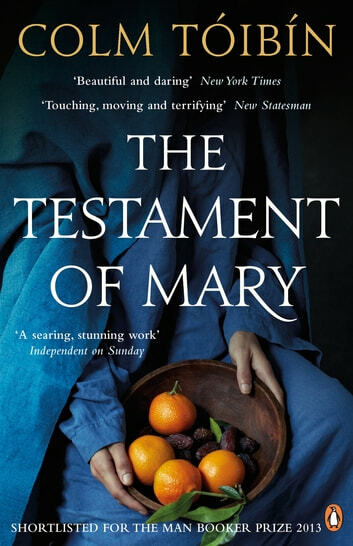 In a voice that is both tender and filled with rage, The Testament of Mary tells the story of a cataclysmic event which led to an overpowering grief. For Mary, her son has been lost to the world, and now, living in exile and in fear, she tries to piece together the memories of the events that led to her son's brutal death. To her he was a vulnerable figure, surrounded by men who could not be trusted, living in a time of turmoil and change. Read this in one sitting. Beautiful interpretation of Mary's story. Not sure about this book.